The Candy Fairies can’t sugarcoat their dilemma—they need to find the Fairy Code Book, and fast! 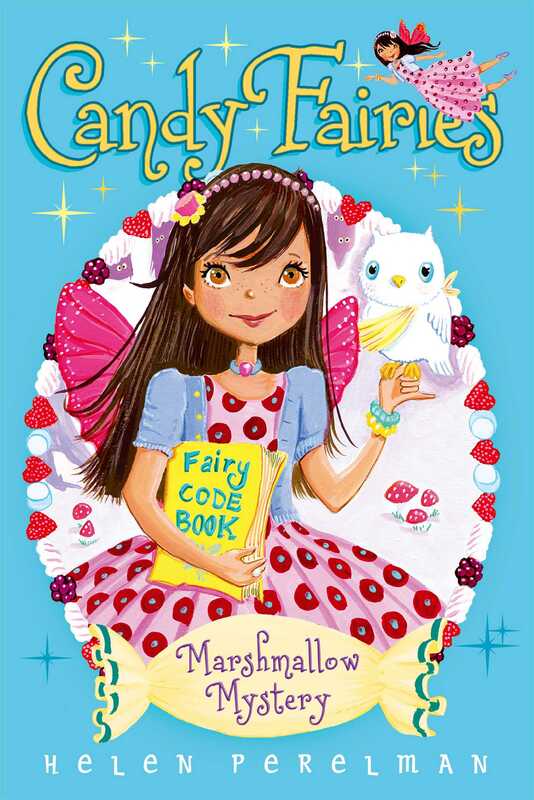 There’s a mystery to be solved in Sugar Valley: the Fairy Code Book is missing! Raina, the Gummy Fairy, is frantic. She keeps the book with her at all times and can’t believe she has misplaced it. If this important book, which holds all the secrets, history, and recipes of Sugar Valley, gets into the wrong hands, who knows what will happen? The Candy Fairies have to solve this sticky situation—and fast! Helen Perelman has worked in a children’s bookstore and was a children’s book editor. She now writes full time in New York, where she lives with her husband and two daughters. Visit her online at HelenPerelman.com and CandyFairies.com. Erica-Jane Waters is the author and illustrator of many books for children. She graduated from Hereford College of Art & Design in the UK. She creates art for magazines and greeting cards and also designs toys. Erica lives with her husband in in Northamptonshire, UK.